Privacy and security are two of the hottest topics in the mobile world today, and Apple is one of the few companies that put them in the highest priority. The levels of protections Apple put would make sure that their users' data are safely guarded. But that precautions can also be a double-edged sword for users. If they somehow forgot the password to access their devices, they will be completely locked out of their devices. It's like losing the key to your house when you are outside. There are also other cases where users are prevented from accessing their own data. That's why we need the unlock tools. Here are three kinds of iPhone locks and the tools that you can try. As iPhone establishes itself as a high-priced premium smartphone, it's not accessible to all users. For many of the tight-budget customers, the only way to get their hands on an iPhone is by using iPhone subsidy. It is a common practice in several countries. Cell providers pre-pay for the iPhones and sell them for a very affordable price, or sometimes even free. The customers who buy these "great deal" have to subscribe to the "special" high-priced cellular plan for a fixed period, which include the monthly installments to pay for iPhone's real price. The problem with this scheme is, if the customers switch to another cell provider with a cheaper monthly plan, then the original provider will lose money. To prevent this disaster from happening, the providers lock the iPhone, so it will only work with their specific SIM cards. They go even further and lobby the governments to make the unlocking process illegal. These SIM unlocking services basically work the same. Basically, they will need your iPhone model, network provider and IMEI number information, so that they can try to modify SIM policy from Apple activation server. Please note that the process is not free, and you are required to fill out a form along with your iPhone IMEI number. To get your IMEI number, dial #06#. Another situation is that iPhone gets locked due to too many wrong passcode attempts. This can happen when we set a complex password for iOS device and then forgot it, or when we bought a second-hand iPhone/iPad with a locked screen. 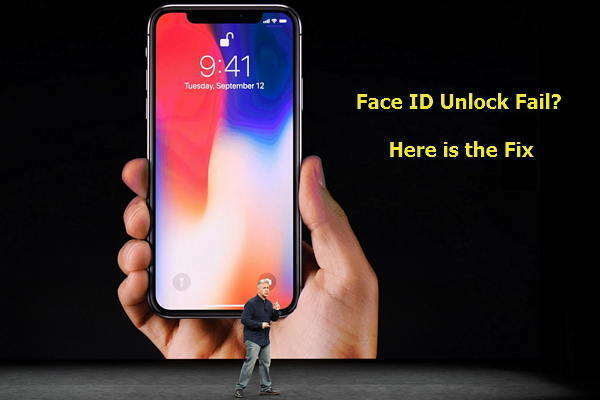 In this case, you can unlock the passscode using Tenorshare 4uKey - Unlock iPhone Locked Screen – a professional iPhone passcode unlocker tool to remove iPhone passcode. Step 1 Connect your locked or disabled iPhone/iPad to computer, and click "Start" on the main interface. Step 2 Tenorshare 4uKey will display the matching firmware file for your device. Click "Download" to download and then follow the onscreen tips to use Tenorshare iPhone Unlocker to unlock the password on your iOS device. Step 3 After a few minutes, your iPhone passcode has been removed and you can reset a new password. Here is detailed video about how to unlock iPhone passcode using 4uKey. Hope it will help you better. Either it's because you just buy a second hand iPhone or you are fixing a problem, sometimes you need to reset your iPhone to its original factory settings. When doing so, you need to activate the iCloud account linked to the phone, or you won't be able to use it. But you can bypass the iCloud lock using one of these iCloud unlocker tools and services. Check this guide to learn how to bypass iCloud activation lock free. Another type of lock that you might stumble into with your phone is the Backup lock. As you might already understand, there are no such things as too many backups. Backing up your data might be one of the most important things that you do with your iPhone. And Apple gives you an easy way to backup using iTunes. And to add a security layer to protect your data, you can encrypt the backup with a password. But what if you forgot the password? You won't be able to restore your device. Fortunately, there's a tool that you can use to bypass the backup lock called Tenorshare 4uKey - iTunes Backup. The tool features GPU acceleration, and the cracking speed can be 1000 x faster than regular iTunes backup recovery software. It also offers three methods to 100% ensure you can recover your iTunes backup password. So we have share 3 kinds of iPhone unlock tools for you to unlock SIM, bypass iPhone passcode, bypass iCloud and iTunes backup files for iPhone XS/XR/8/8 Plus/7/7Plus/6s/6/5s/5. If you have any other recommended iPhone unlock tools, please share them with us at the comment place.